This opportunity is now closed. Keep an eye out for future announcements! The online exhibition will run Friday, January 18 – Sunday, February 10, 2019. Young Space invites submissions of contemporary visual art for an online exhibition in early 2019! The second online-only Young Space exhibition, this is an opportunity to submit your work for consideration for a curated “virtual” show. Similar to other Young Space exhibitions, work is curated into a cohesive exhibition from submissions by Young Space founder Kate Mothes. 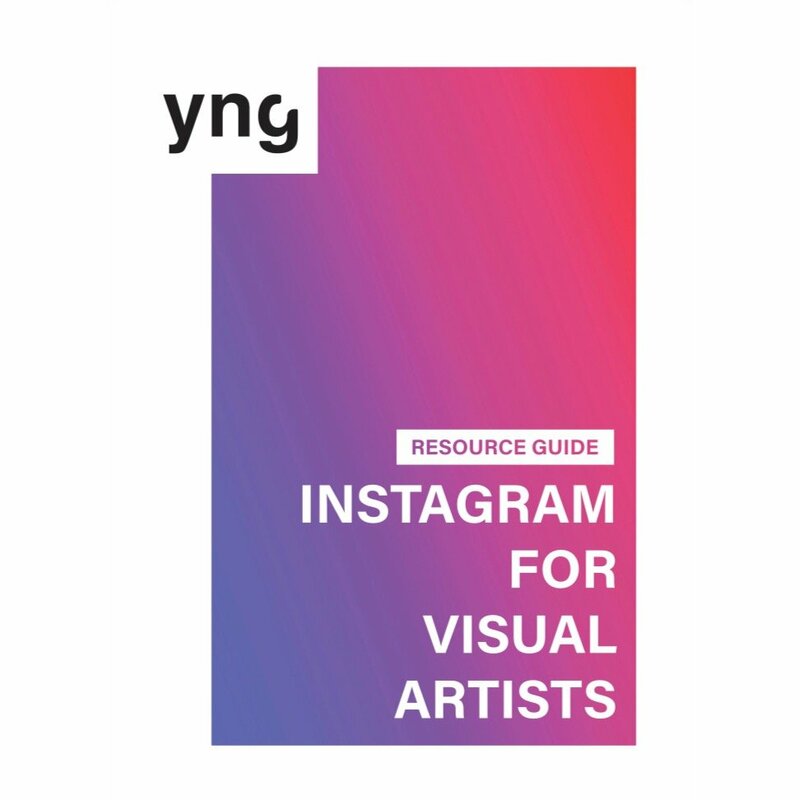 The show is presented on an autonomous website that is promoted on yngspc.com and via social media, and each work is highlighted individually on the @yngspc Instagram throughout the run of the show. Artists are not required to ship work unless it is sold. If work sells, Kate coordinates the sale, and the artist ships to the buyer directly from the studio! How is it different from previous calls? Each artwork must be photographed to a professional standard (ie. good lighting, high resolution). It is preferable that there is a front/overview image, as well as side views and/or detail shots to give an “experience” of the work. Kate may request further images. 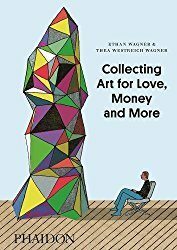 Artists whose work is included in the exhibition agree, if work sells, to package and ship the work in a professional and safe manner, or have it professionally packaged, and posted at the most economical rate. Potential shipping costs are important to keep in mind when considering which work to submit! Prospective buyers are responsible for shipping, however at the time of sale the artist will communicate with Kate about the best methods and postage rates for shipment, depending on the size/scale of work, before the sale is confirmed. All artists are eligible to submit work for consideration. Work submitted must be new within the last two years. There is no limitation on geographic location, theme, or medium, or size (remember to keep practical packing/shipping costs in mind). If selected, you may be asked for additional information, or to participate in an interview for further promotional purposes. Young Space asks for a 40% commission total on any sales. Please factor in this amount when determining your prices. 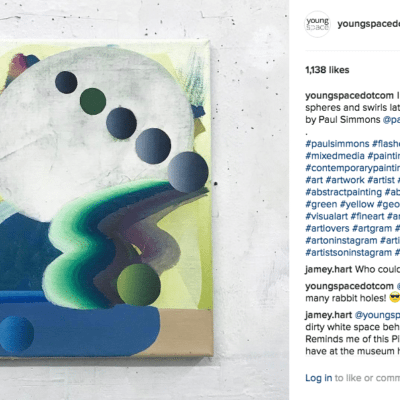 If, following the dates of the exhibition, the work sells because it was initially discovered through the exhibition, Young Space asks 10% of the sale. Entry Deadline: 30 November 2018 11:59pm CST. All artists will be notified of the final decision by 19 December 2018. If your work is selected, you will receive further information at that time. All selected work will be on display online from January 18 – February 10, 2019. Young Space cannot be responsible for loss or damage to artworks, and artists are encouraged to carry their own insurance when the work is shipped. Submission fee is $15 (nonrefundable) per artist, regardless of the number or type of works submitted, limit 5. Online entry only via website (credit/debit card via PayPal). All proceeds from fees cover administrative costs, and directly fund Young Space projects and opportunities such as this one. While PayPal is strongly preferred, if you do not have access to PayPal, please contact Kate at kate@yngspc.com. Young Space is totally independent and your support is greatly appreciated!